was to hand write/print draft one while sitting in nature. perfect bound notebook, things tend to go faster if I start on the computer. my backup files will be corrupted. bottle of grape G2 Gaterade. I’m fed, watered, and forced to write once the snacks are gone. 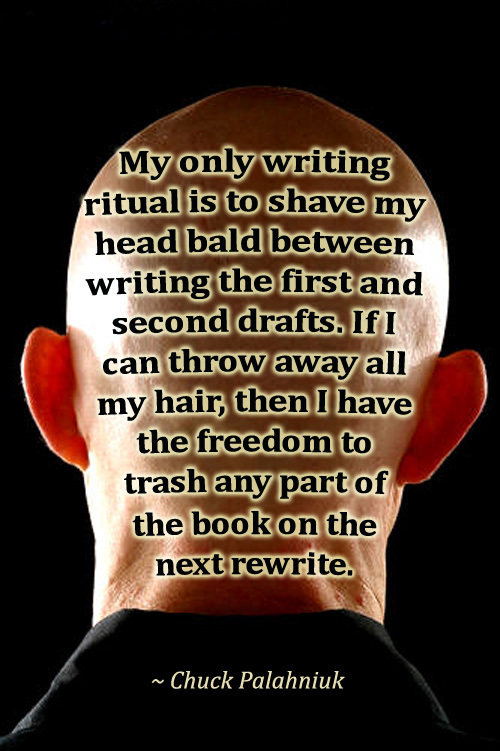 My writing rituals have developed over the years as well 😀 I always have to have a cup of tea and quiet, with those things I am always good to go! Any particular flavour of tea, Mishka?